As part of our ongoing series looking at the role of dietary supplements in the prevention of Alzheimer’s disease, this article looks at key principles underlying nutritional interventions to help the clinician judge the validity of the claims and counter-claims that currently exist in available literature. 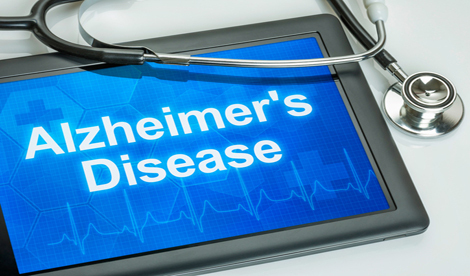 The articles by Dewson et al in the February and March editions of GM1 are a welcome survey of some of the evidence concerning dietary supplements and prevention of Alzheimer’s disease. I would like to bring out some key principles underlying nutritional interventions to help the clinician judge the validity of the claims and counter-claims in the literature. I will illustrate my comments by reference to the possible role of lowering plasma homocysteine by B vitamins in modifying Alzheimer’s disease progression. Two particular principles are relevant: first, the dose-response relationship and, second, interactions between individual micronutrients and between micronutrients and genetic polymorphisms. In considering the results of clinical trials of a dietary supplement, we must always ask: what is the baseline status of the nutrient in question? 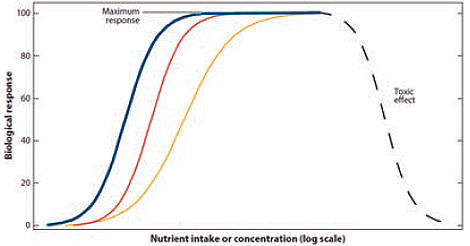 If the baseline nutrient concentration is within the plateau region of the dose-response curve for the particular outcome, then we cannot expect any change in the response upon treatment. If we do not know the dose doseresponse curve for a complex outcome, such as slowing cognitive impairment, we can simply ask whether the placebo group showed any change over time. If there was no cognitive decline in the placebo group, then it is likely that the concentration of the nutrient is in the plateau range and so we cannot expect administration of a nutritional supplement to slow cognitive decline. Several published trials and meta-analyses display this weakness, as we have reviewed.3 The VITACOG trial illustrates this principle. In this trial, older people with mild cognitive impairment were recruited from the Oxford community and were given either a placebo tablet or a tablet containing high doses of 3 B vitamins (0.8mg folic acid; 0.5mg vitamin B12; 20mg vitamin B6) that are known to lower plasma homocysteine concentrations. The trial was designed to see if lowering homocysteine would slow the accelerated rate of whole brain atrophy over two years. The homocysteine level was 30% lower in the active treatment group and the mean rate of brain atrophy was 27% slower. But the effect of B vitamin treatment depended upon the baseline homocysteine: only those participants with homocysteine above the median (11μmol/L) showed slowing of the atrophy rate. The higher the homocysteine, the greater the effect such that for those in the top quartile (>13μmol/L) the rate of atrophy was slowed by 53%.4 This result nicely illustrates the principle embodied in the dose-response curve since high homocysteine reflects poorer B vitamin status (but no-one was clinically deficient). Exactly the same result was obtained for the slowing of cognitive decline: only those participants with homocysteine above the median showed a beneficial effect of B vitamin treatment: in these subjects the treatment markedly slowed memory decline. In participants with homocysteine in the top quartile, there was even a significant clinical improvement, as revealed by the Clinical Dementia Rating (CDR) score.5 But in those with homocysteine below the median there was no cognitive or clinical benefit of B vitamins, presumably because their B vitamin status was already adequate. To conclude, I am confident that the use of dietary supplements is a valid approach to prevention of Alzheimer’s disease, but we need to bear the above principles in mind when reading the literature and when selecting our patients. 4. Smith AD, Smith SM, de Jager CA, et al. Homocysteinelowering by B vitamins slows the rate of accelerated brain atrophy in mild cognitive impairment. A randomized controlled trial. PLoS ONE 2010; 5(9): e12244.